Sane nations do not willingly surrender a position superior military strength to potential enemies, for no reason. Why then did the U.S. Senate recently sign START 2 with Russia, despite a long record of blatant and persistent cheating by Moscow? The United States has signed several nuclear disarmament treaties with the Soviet Union/Russia, always from an ever decreasing position of superiority. Always Moscow has gained and Washington lost ground. 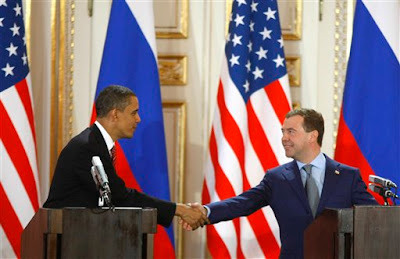 Why has Washington always conceded advantages to Moscow, when there was absolutely no necessity to do so? The blunt answer? Because U.S. policy makers have been persuaded to do so, by American citizens who's loyalty to their home country is questionable. One of the most influential leaders of the U.S. disarmament lobby was former nuclear physicist and Manhattan Project scientist Leo Szilard. In 1962, two years before his death, Leo Szilard founded a little known organization that would come to have a huge impact on U.S. defense capabilities , the Council for Abolishing War, now known as the Council for a Livable World. In the early 1960s, Szilard sought a way to influence U.S. defense/disarmament policies at the highest levels. ; In 1962, he founded the Council for Abolishing War to raise money for U.S. Senators who favored arms-control treaties. By Szilard’s calculus, all states had two Senators, so votes came cheapest by supporting campaigns in the least populous states. The Council’s first successful candidate was Sen. George McGovern from South Dakota. Today the Council supports candidates from all states and the House of Representatives as well. It was America’s first and most successful Political Action Committee for arms control and disarmament. But who was this man, who sought to buy his way into the heart of U.S. defense policy making? Leo Szilard was born in Hungary in 1898. 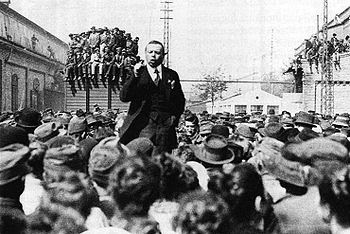 In Budapest during the 1919 Bela Kun Hungarian Soviet Republic, Szilard founded a socialist students association to "help clarify political and economic issues." The Hungarian Association of Socialist Students distributed a pamphlet on tax and monetary reform purportedly written by Szilard. 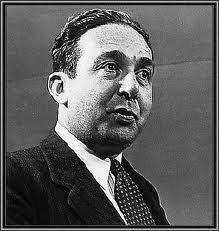 Leo Szilard was an enthusiastic supporter of Bela Kun's communist regime. When Kun's government fell, the backlash against communists and Jews persuaded Szilard to leave Hungary for Berlin. there he was involved in a study group dedicated to analyzing Soviet affairs. In London in the 1930s, Szilard helped organize the Academic Assistance Council to aid refugee scholars. He also proposed enlisting Nobel laureates to protest Japan’s invasion of Manchuria, the first time the group was politicized in this way. Both causes were legitimate, but both were also heavily infiltrated by communists and sympathizers. Szilard’s best known political efforts involved his mentor, friend, and fellow communist sympathizer Albert Einstein. In New York in 1939, Szilard proposed and drafted a letter from Einstein to President Franklin D. Roosevelt that warned about German nuclear weapons research and urged a U.S. counter-effort. Their letter prompted Roosevelt to convene a federal Advisory Committee on Uranium (with Hungarian physicists Eugene Wigner, Edward Teller, and Szilard as members) that promised money for Enrico Fermi and Szilard to conduct chain-reaction experiments at Columbia University. But when this funding from Washington hadn’t materialized by the spring of 1940, Szilard enlisted Einstein in an effort at political blackmail. He drafted for Einstein a letter warning the White House that if those funds were not forthcoming, Szilard would publish a paper detailing just how a chain reaction in uranium could work. Soon, Fermi and Szilard received their money. However Szilard was already under suspicion. 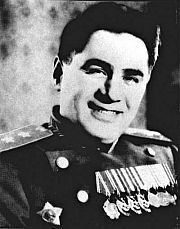 General Groves, head of the Project declared Szilard to be detrimental to the project and that he should be arrested and interned for the duration of the Second World War. According to Pavel Sudoplatov, former wartime director of the Administration for Special Tasks, an elite unit of the Soviet intelligence service, Leo Szilard, Robert Oppenheimer and Enrico Fermi, knowingly supplied information to Soviet contacts during their work on the Manhattan Project. Another route was from the mole who worked with Fermi and Pontecorvo. The mole in Tennessee was connected with the illegal station at the Santa Fe drugstore, from which material was sent by courier to Mexico. The unidentified young moles, along with the Los Alamos mole, were junior scientists or administrators who copied vital documents to which they were allowed access by Oppenheimer, Fermi, and Szilard, who were knowingly part of the scheme. Sudoplatov claims that Soviet spy chief Lavrenti Beria had post war plans for their Manhattan Project friends. After our reactor was put into operation in 1946, Beria issued orders to stop all contacts with our American sources in the Manhattan Project; the FBI was getting close to uncovering some of our agents. Beria said we should think how to use Oppenheimer, Fermi, Szilard, and others around them in the peace campaign against nuclear armament. Disarmament and the inability to impose nuclear blackmail would deprive the United States of its advantage. We began a worldwide political campaign against nuclear superiority, which kept up until we exploded our own nuclear bomb, in 1949. Our goal was to preempt American power politically before the Soviet Union had its own bomb. Beria warned us not to compromise Western scientists, but to use their political influence. Comrade Beria's advice turned out to be sound. Szilard's usefulness to the Soviet cause only incresaed after the War. One of Szilard's first projects was the strongly pro-disarmament Federation of American Scientists, started with former communist and alleged spy Philip Morrison, and communist sympathizer Harold Urey . F.A.S. was founded in 1945 with a membership of more than 2,000 scientists and an advisory panel that included several more communists or sympathizers, including Robert Oppenheimer, Harlow Shapley, and Edward U. Condon , a known associate of several Polish embassy officials. Leo Szilard was, co-organizer of the first Pugwash conference in 1957, a major series of gatherings involving Western and East Bloc scientists, diplomats and politicians. 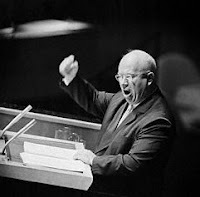 In 1960, Szilard gained a private audience with Soviet Premier Nikita Khrushchev in New York City. During their two-hour conversation, Szilard gained the Soviet leader’s assent for a Moscow-Washington “hot line” to help prevent accidental nuclear war. As a gift, Szilard brought Khrushchev a new razor and promised to send him blades as long as there is no war. “If there is war,” said Khrushchev, “I will stop shaving. Most other people will stop shaving, too." Szilard was also an early affiliate of the far left and pro-disarmament Washington DC based think tank, the Institute for Policy Studies - once described by British security expert Brian Crozier as the "perfect intellectual front for Soviet activities which would be resisted if they were to originate openly from the K.G.B." Leo Szilard died before his attempts to influence U.S. disarmament policies came to fruit, but bear fruit they did. Stay tuned for more coverage of "Nuclear Treason". That is some quite remarkable reporting. I had no clue that he supported Bela Kun. I did hear that John von Neumann's father played a big part of deposing Kun and his commie pals. Very interesting. McCarthy was right! From FDR's administration to JFK's administration our government was full of Sovist spies and our secrets were plundered. What is most interesting looking back at what was known was that many of these spies were aided and provided cover by "good people". Politicians sell their souls and will do anything for a vote, power or money. Does anyone think for a second that our government isn't full of spies today? Most of China's sophisticated weaponry was stolen from us. Are we doing enough to find spies and sympathizers today? Unmentioned in the article is Szilard was the first to conceive the atomic bomb. In fact he had a British patent on it. The patent was assigned to the British Admiralty in 1936 to ensure its secrecy. Szilard had a much larger impact on history then he is given credit for. That picture of Einstein and Szilard looks fake. 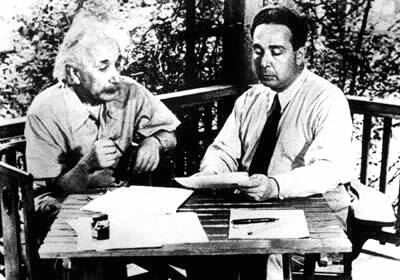 The photograph of Albert Einstein with Leo Szilard is courtesy the Federation of American Scientists. turns up several interesting-looking articles; but I haven't searched through them for the photo. Covert Socialist Nadler Pumps "Fairness Doctrine"